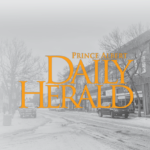 Another close contest in the Saskatchewan Midget AAA Hockey League didn’t go in the Prince Albert Mintos favour Tuesday. In a road matchup at Merlis Berlsher Place, Kamloops Blazers defensive prospect Logan Bairos scored late in overtime to give the Saskatoon Contacts a 4-3 triumph over the Mintos. Although the Mintos dropped the second game of their five-game road swing, they did pick up a valuable point. Heading into Thursday’s action, the 16-16-1-0 Mintos were tied with the 16-13-0-1 Contacts and the 15-10-1-2 Notre Dame Hounds for fifth place in the standings. Those three sides all have 33 points, which is one more than the 14-12-4-0 Beardy’s Blackhawks. The Blackhawks are currently nine points ahead of the 10-18-1-2 Moose Jaw Generals for the eighth and final playoff spot in the SMAAAHL. Barios had two goals and an assist to lead the way for the Contacts, while Victoria Royals forward prospect Matthew Hodson scored a goal and dished out two helpers in the win. Caleb Cherry also scored for the hosts, who received a 28-save showing from Cole Johnston. Swift Current Broncos prospect Dawson Springer and Blazers draft pick Ethan Ironside paced the Mintos on offence with a goal and an assist each. Chase Bertholet also found the back of the net for the visitors and Carter Woodside stopped 33 shots. The Mintos will head down to Wilcox this weekend for a pair of games at the Duncan McNeill Arena. They will take on the 8-21-1-1 Notre Dame Argos at 4 p.m. Saturday before squaring off with the Hounds at 1:30 p.m. Sunday. The Mintos will conclude their road trip on Thursday, Jan. 31 against the Blackhawks at the Willow Cree Memorial Sports Centre.